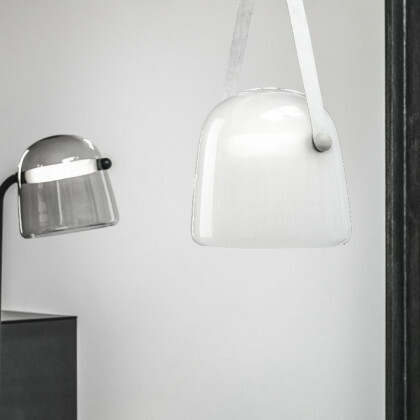 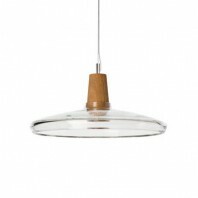 The Brokis Mona Pendant lamp has a particularly sensitive and smooth shape and look to it, with soft curves and a smooth glass surface. 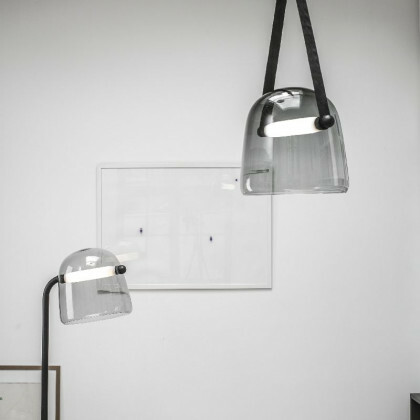 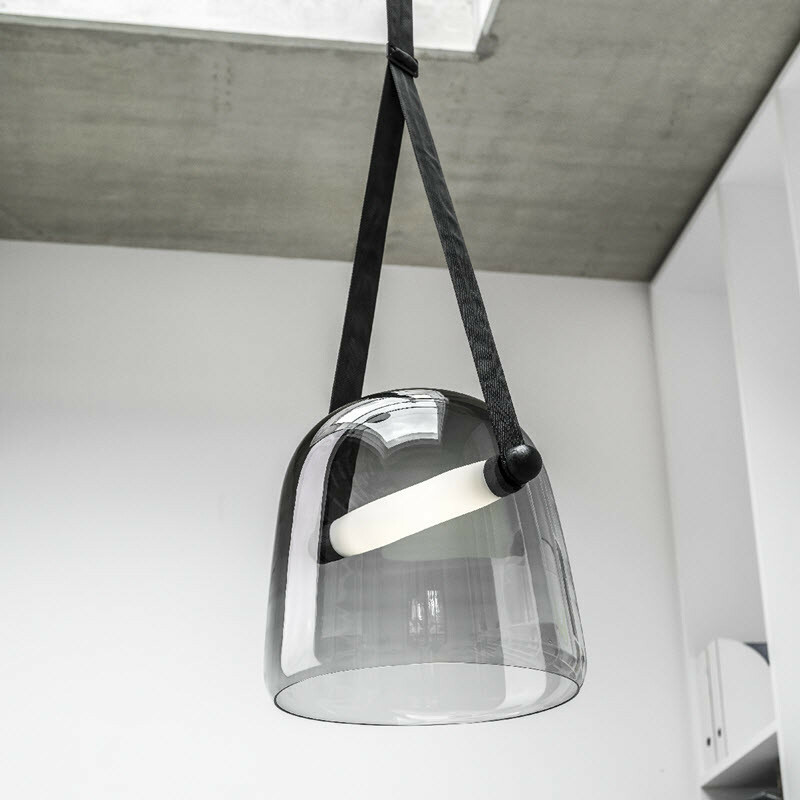 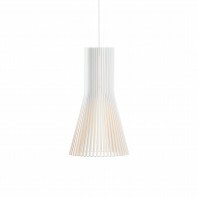 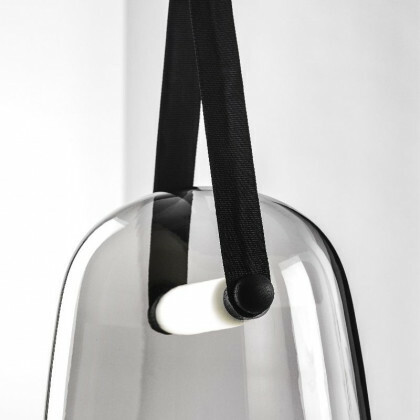 The simple and delicate shape of the lamp is lit up by the LED light source within, illuminating it in its entirety. 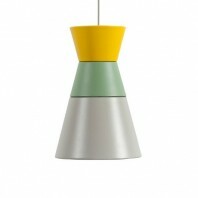 What makes the lamp unique, is the craftsmanship and combination of products to contrast in the entire design itself. 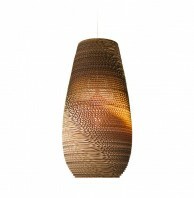 This particular product uses wood, textile, and blown glass, all in one, to complete an artistic vision of simplicity and modern expression. 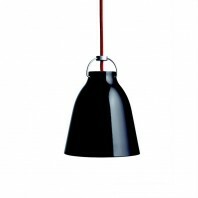 The body of the lamp itself is already constituted together with metal and a wooden body. 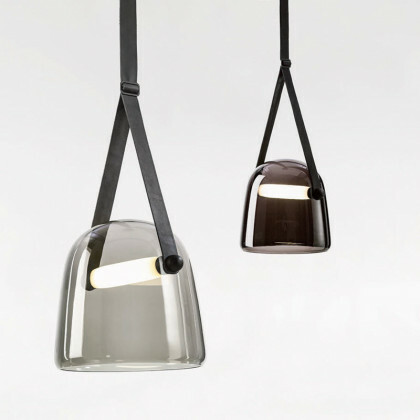 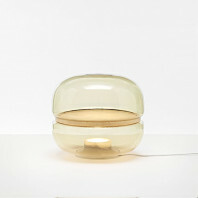 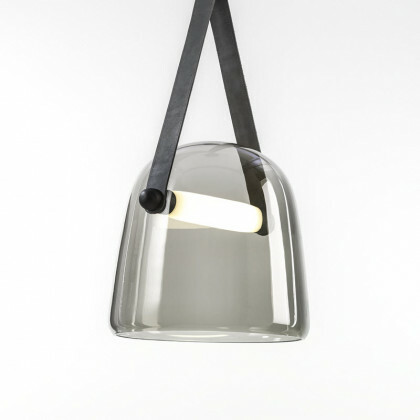 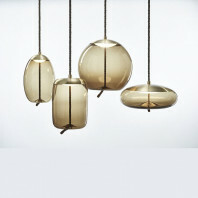 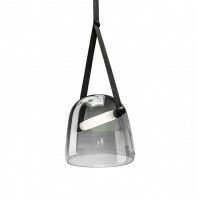 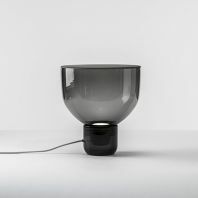 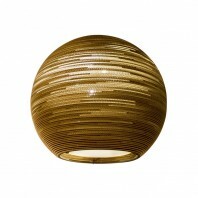 While, the glass shade of the lamp is formed from multiple layers of molten glass, one on top of another. 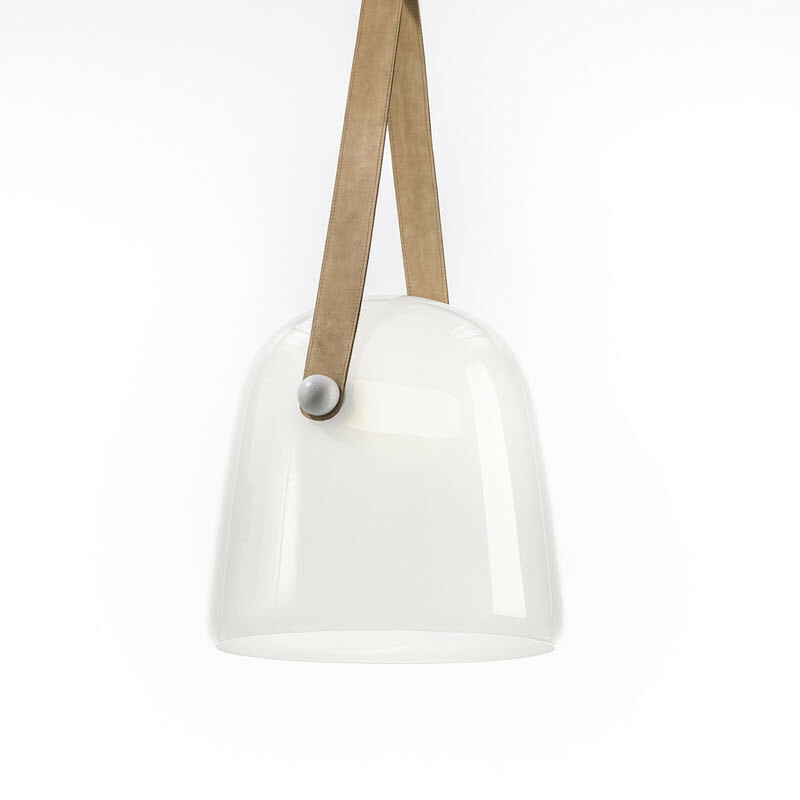 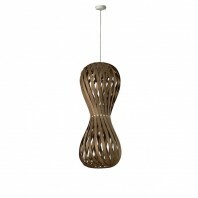 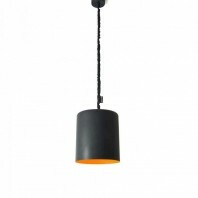 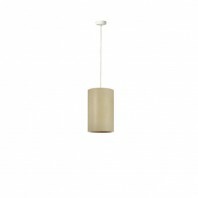 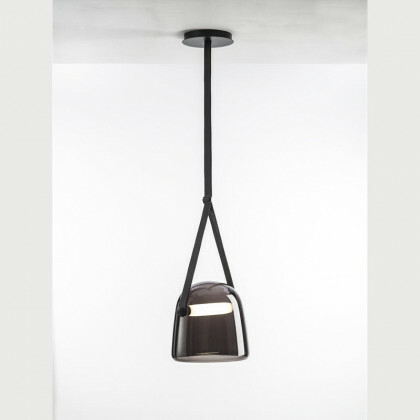 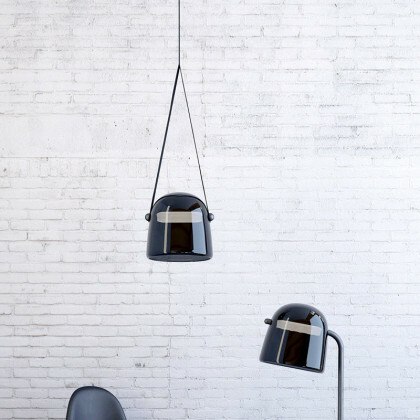 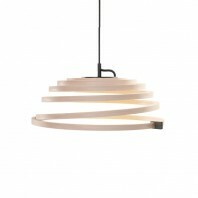 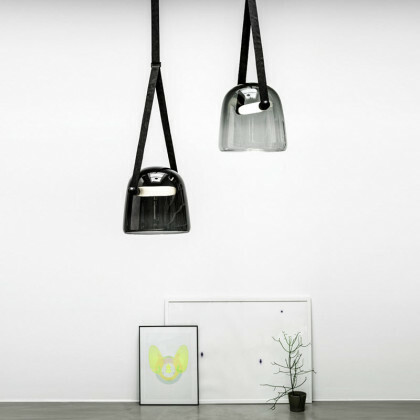 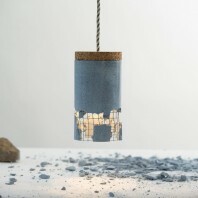 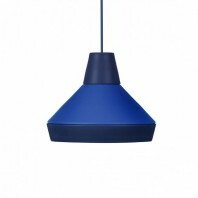 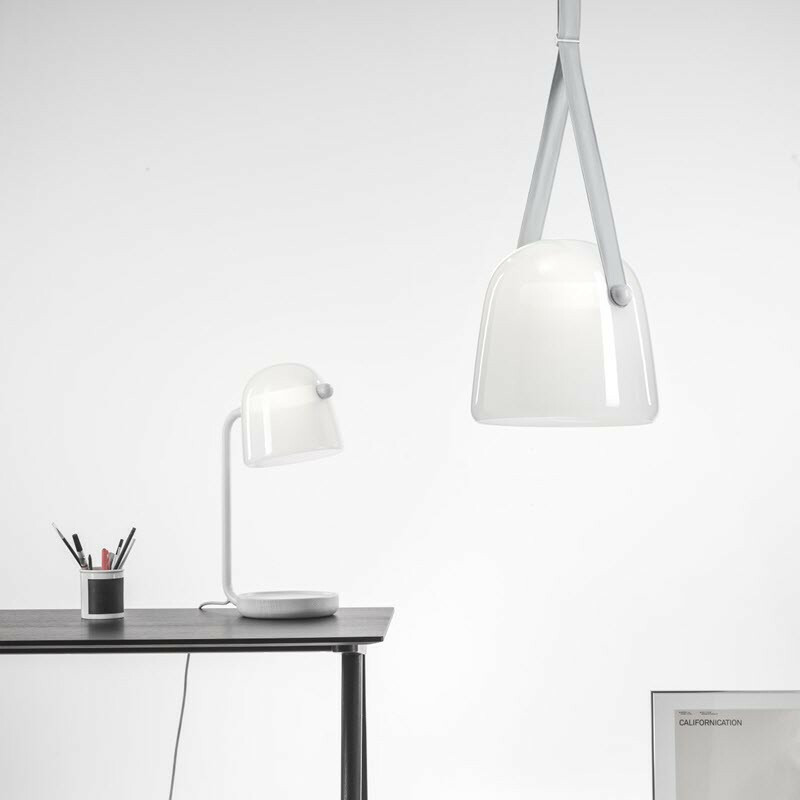 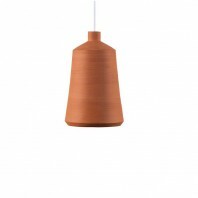 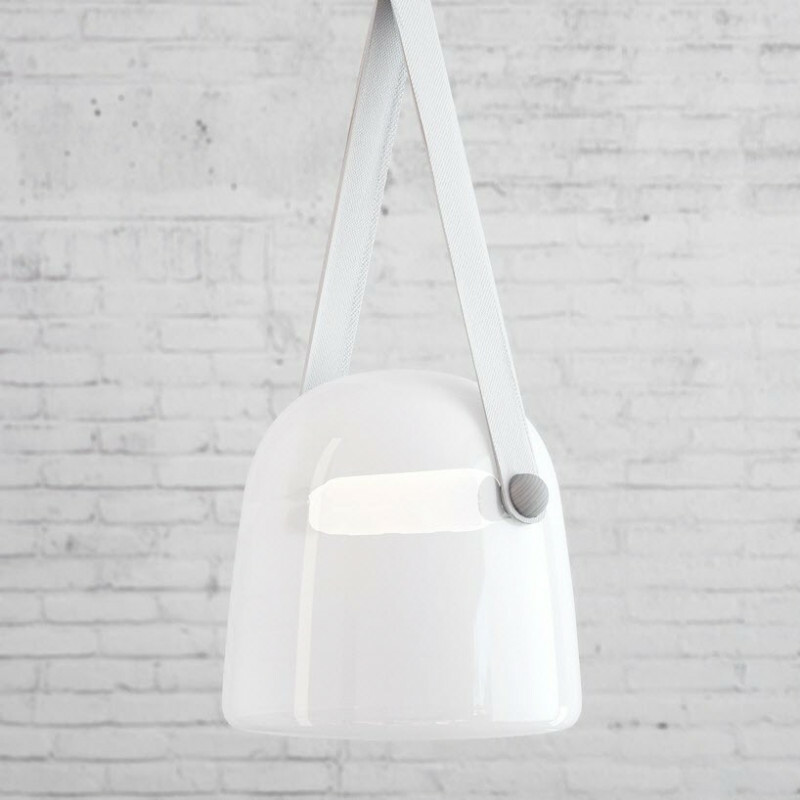 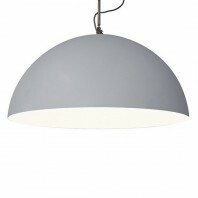 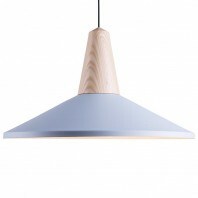 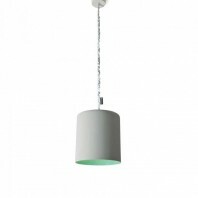 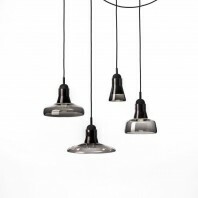 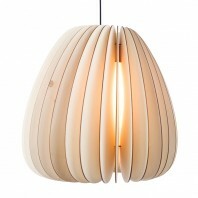 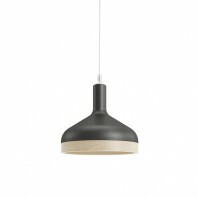 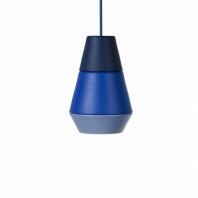 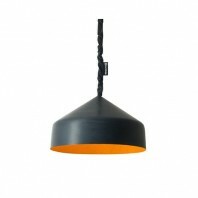 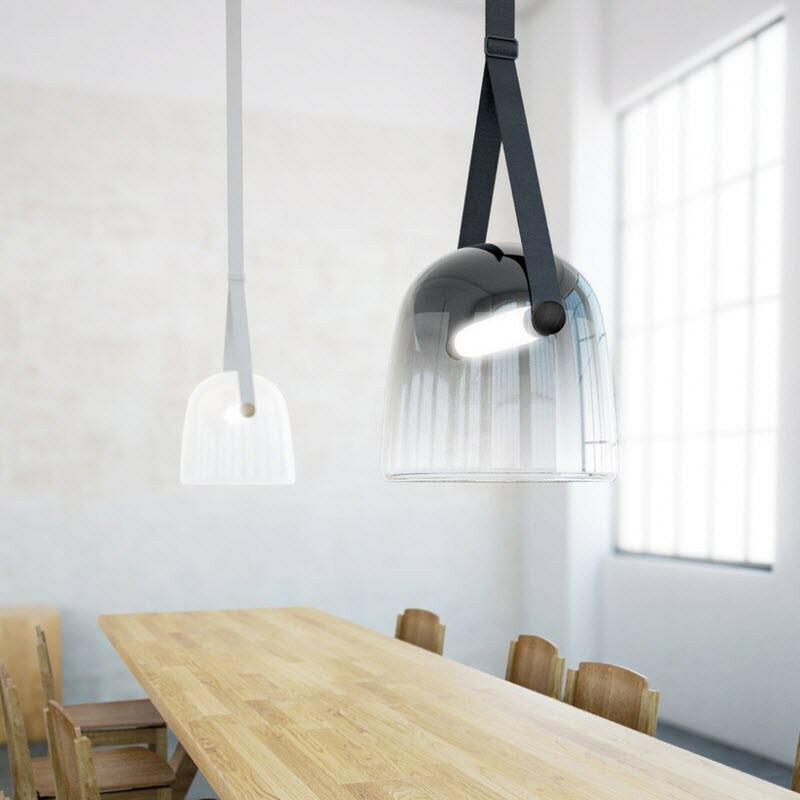 The look is completed with elegant wooden buttons, which fix the shade and lanyard suspension straps to the lamp's body. 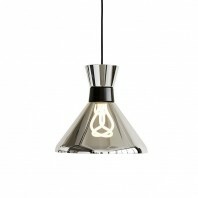 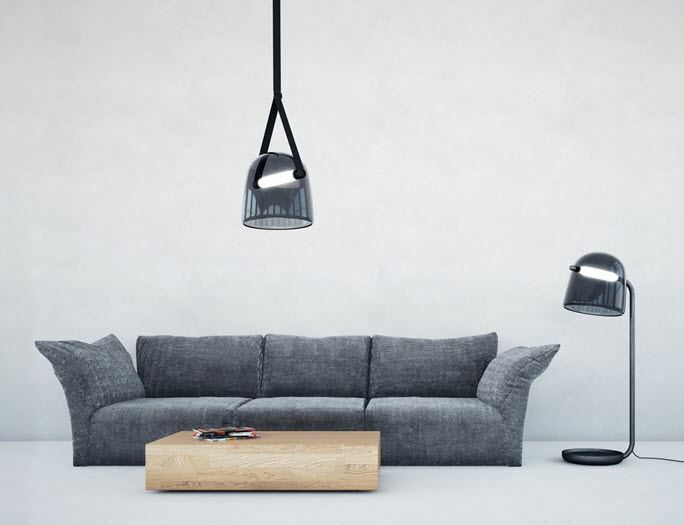 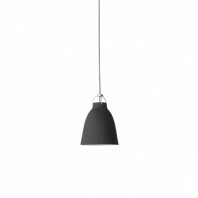 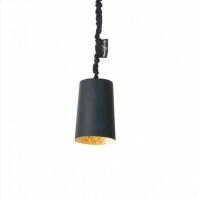 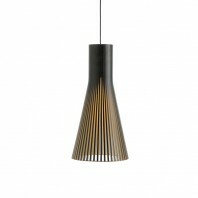 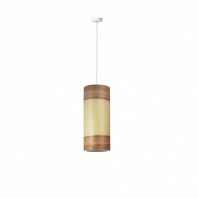 Each lamp is available with or without dimming qualities. 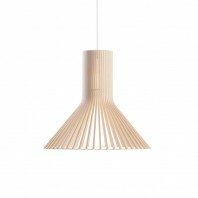 It is available in either a medium or large size, with height and diameter of 270 mm/260 mm and 390 mm/380 mm respectively. 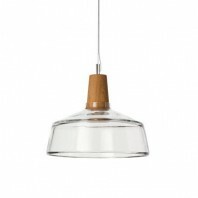 When ordering and personalising your Mona Pendant lamp, you can choose almost every feature to fit your style, from the glass color, to the finish of the wooden buttons, to the surface of the canopy.